Welcome to Sincebaugh Automotive, LLC. Founded in 2005 by Timothy Sincebaugh, Sincebaugh Automotive, LLC has come a long way from its humble beginnings in a rented small two bay garage. We continue to provide “Quality Service with Integrity” in Auburn, NY, while striving to offer any service needed in a timely fashion. Our shop employs honest ASE-certified technicians and mechanics, and we use the latest technology and equipment for our repairs. 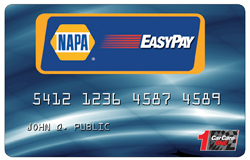 Because we are a certified NAPA AutoCare Center, we are able to provide the benefits of an established national company while offering the personal touch of a local business, along with a 2 year/24,000 mile nationwide warranty. Stop in and visit our shop in Auburn, NY, at the corner of State and York Streets.